The ancient city of Pompeii has a fascinating story. 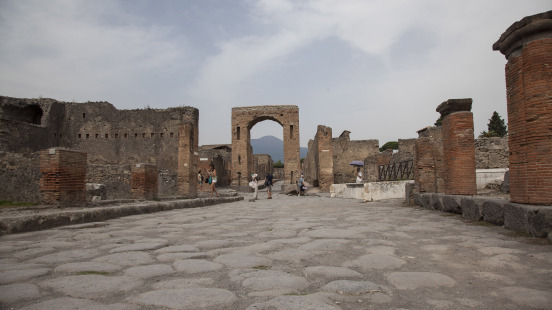 Much of the area was destroyed and covered with 13-20 feet of ash after the eruption of Mount Vesuvius in 79 AD. The area was rediscovered 1,500 years later in 1599 and further in depth discovery in 1748. So much of the city and artifacts were well preserved for centuries because of how deeply they were buried and protected allowing so much insight and knowledge to be learned and discovered. An intriguing place to visit.